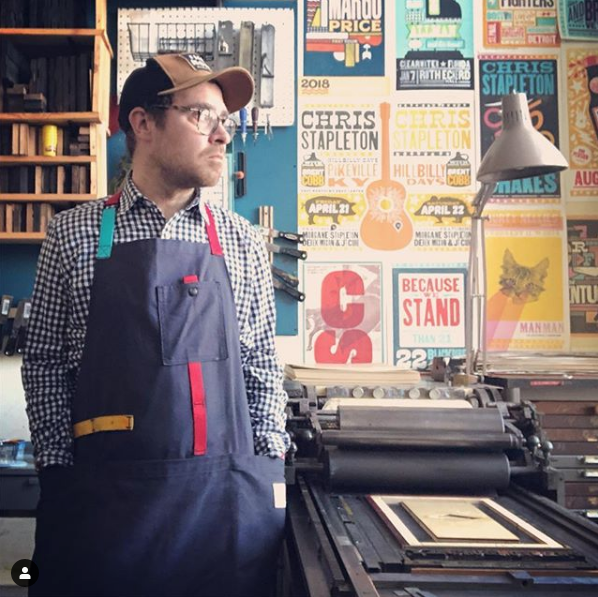 While printing a multitude of letterpress show posters, Louisville, Kentucky based artist/printer Brad Vetter has incorporated many alternative methods into his aesthetic. Pressure printing, a non-traditional letterpress technique that uses stencils to creates unique and spontaneous images, stands out as one of his favorites. During this two-day workshop we will learn Brad’s secrets to perfecting this technique and how to incorporate it into your next letterpress print project. Working with presses, hand-set type and laser cut elements, we will create our own stencils and corresponding prints! No experience necessary.